When a white man shouting racial epithets gunned down Indian national Srinivas Kuchibhotla in a bar in Olathe, Kansas, in February, Kuchibhotla’s widow, Sunaina Dumala, lost more than a husband — she also lost her U.S. resident status. Dumala — who has lived in the U.S. since she enrolled in college in Minnesota in 2007 — told the Kansas City Star in an email that after she and Kuchibhotla married in 2012, they jointly applied for a green card on the H-1B visa he received as a specialized worker at the technology firm Garmin. But because of backlogs in the visa issuing process, the couple was still waiting for approval when Kuchibhotla was killed in an act of domestic terrorism years. Now, Dumala told the Star, she finds herself back at square one. 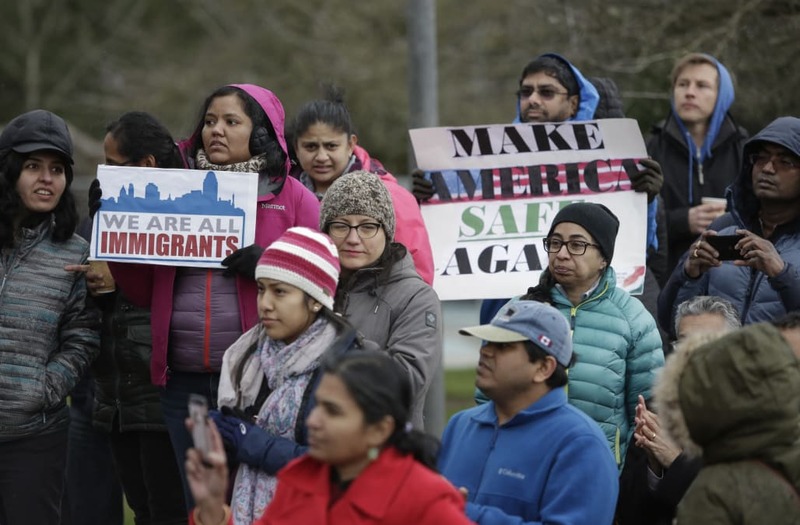 At a time when the potential repeal of the Deferred Action for Childhood Arrivals program looms large, comprehensive immigration reform — and solutions to situations like Dumala’s — are urgently needed, now more than ever. Yoder, it’s worth noting, opposes DACA, which grants work permits and federal protections to undocumented young immigrants who arrived in the country before they turned 16. But the proposed legislation for highly skilled immigrants could mean a form of relief for Dumala and others like her. Since the spring, Dumala has been able to secure an employment authorization document, which is valid for 12 months. Her next step will be to seek an H-1B work visa which, if granted, would allow her to re-enter the backlogged pool of green-card seekers from India.